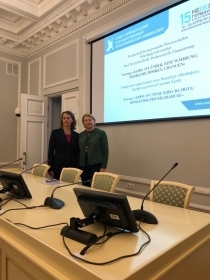 20 April 2018, within the framework of the 15th German Week in St. Petersburg, the lecture of Professor Sylvia Kreis (University of Würzburg, Germany) on the topic "Euro, 19 countries, one currency: problems, risks and chances" was held in the St. Petersburg State Economic University. The lecture, which was held as part of the annual German Week in St. Petersburg, was attended by professors of Russian and German universities, representatives of various cooperation programs between countries, students of St. Petersburg universities. Professor Dr. Sylvia Kreis presented an interesting lecture about the development of monetary units in the European Union and the USSR, highlighted the history of the development of the European currency. The professor spoke about the problems faced by the euro since 2002, about the risks associated with the introduction of a single monetary unit in most euro-zone countries. 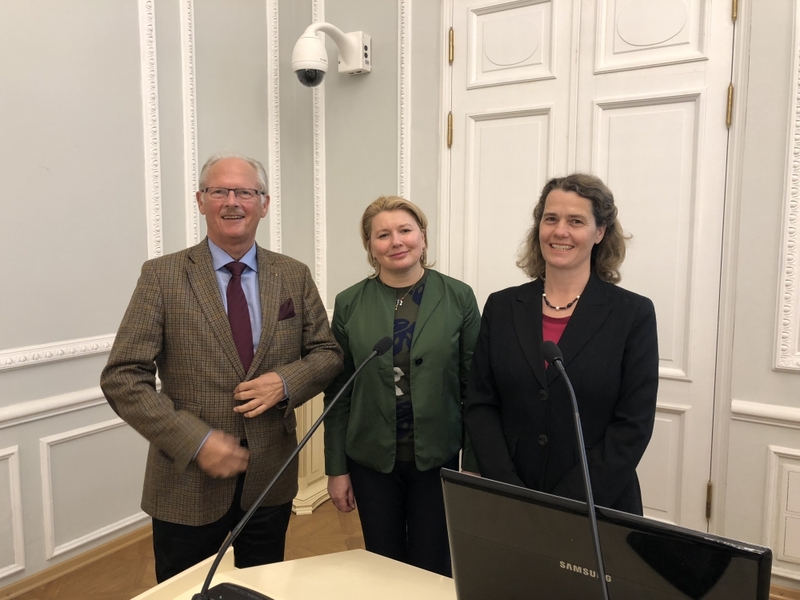 At the end of the report took place a discussion, in which all guests were involved. 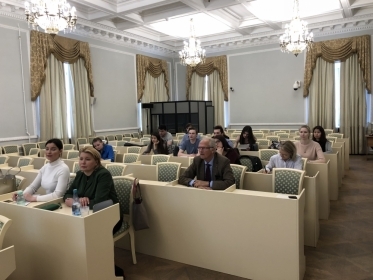 During the discussion were touched not only topics related to the euro, but also the field of investment and insurance in Germany, the forecast for the stability of the euro, the problems of South and Eastern Europe.